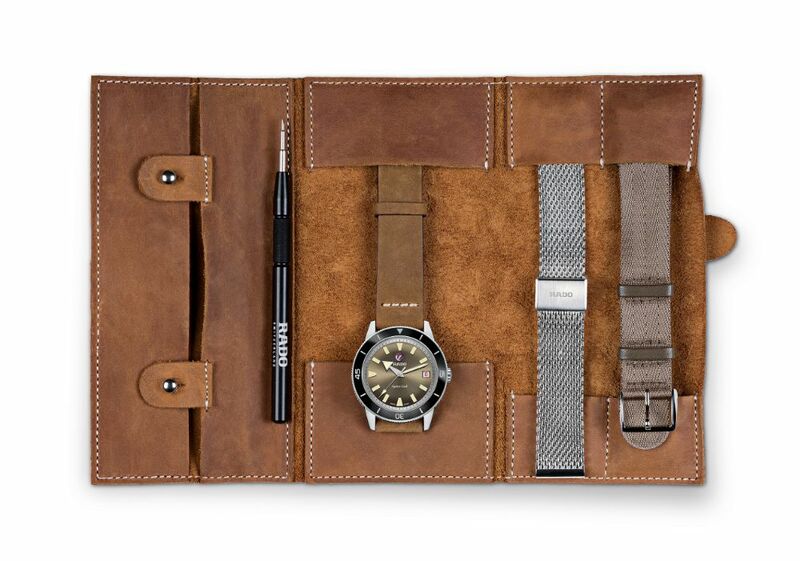 The case, in stainless steel, measures 37mm x 14.3mm. 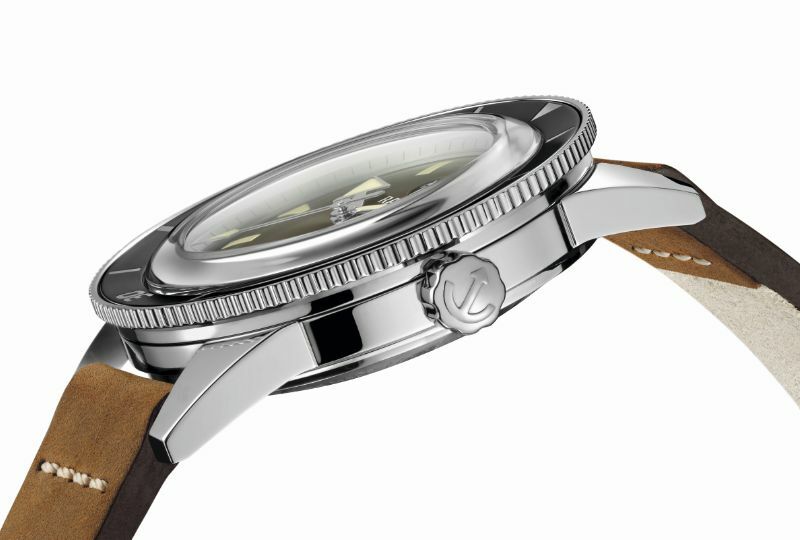 Black high-tech ceramic insert engraved and coated, fixed in a stainless steel turning bezel. It has a box shaped AR-coated sapphire crystal, a caseback with three stamped Seahorses, and it is water resistant to 100 meters. 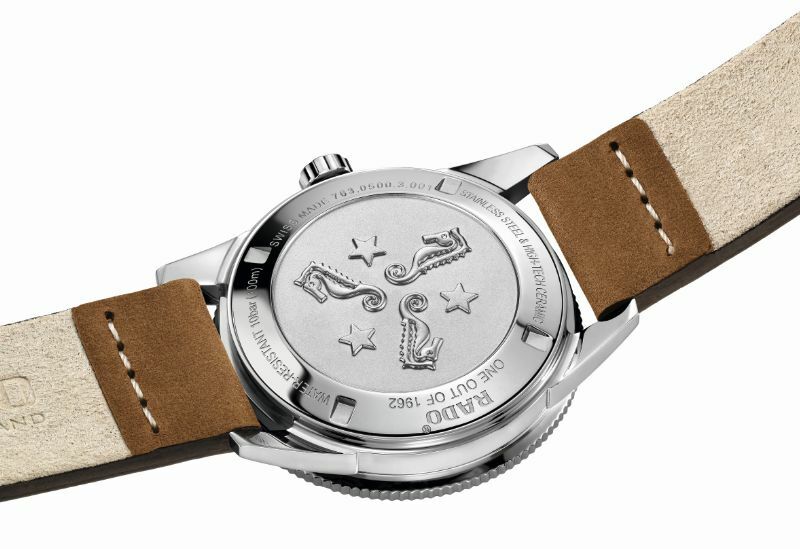 Movement is the Swiss automatic ETA caliber C07.611 with 25 jewels, 28,800 vph and a power reserve of 80 hours. 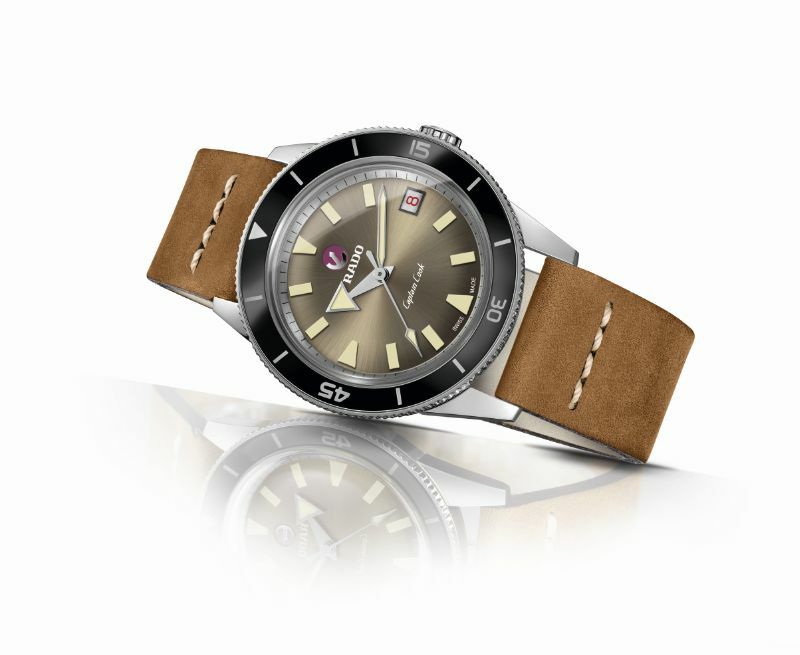 It has a brown sunbrushed dial with printed indeces with vintage look colored SuperLuminova. 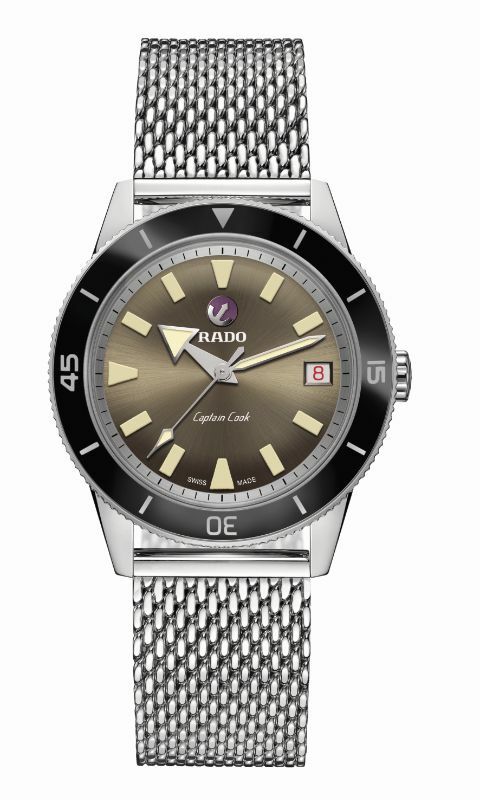 Large rhodium colored moving anchor symbol with red background, silver colored printed Captain Cook, Rado and Automatic logos. Rhodium hands colored with vintage look SuperLuminova. 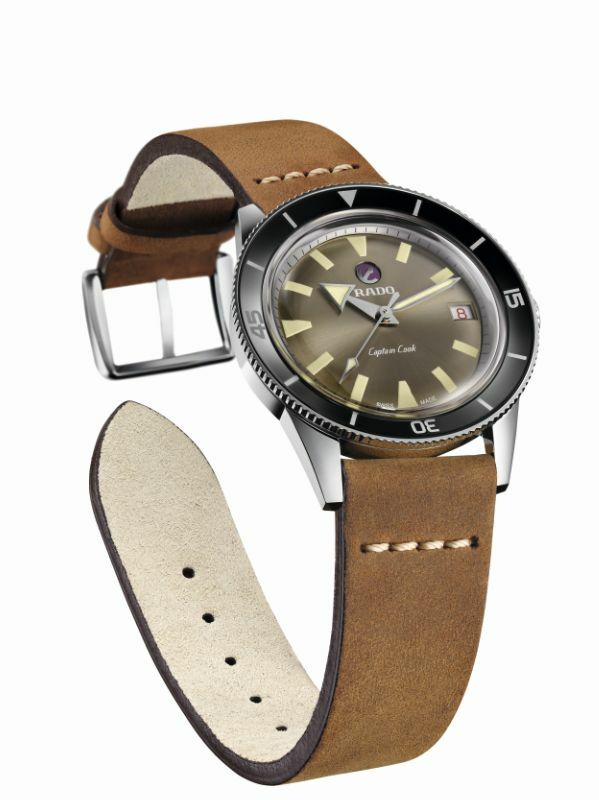 It comes on a vintage brown leather strap with a steel pin buckle, a Milanese stainless steel bracelet, and with an additional green NATO strap with a steel pin buckle. 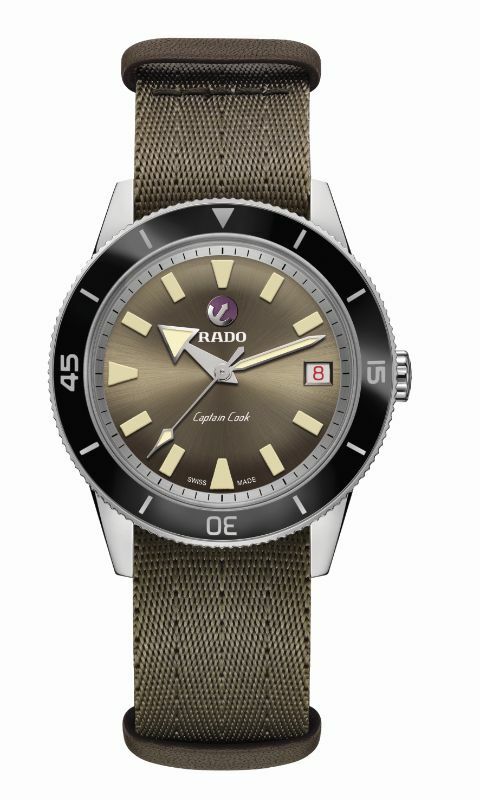 It is delivered with a brown leather Rado-branded travel pouch for the additional straps and with a strap changing tool.